Designed to meet the intense demands of the artist's creative process, Visual Journals feature heavy-duty covers with spiral wire binding that is thicker and stronger than traditional bindings. The journals lie completely flat for ease of use. Bristol (Smooth) — The smooth surface on this paper is excellent for traditional and specialty pen and ink techniques, marker, and collage. 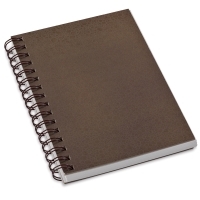 Each journal contains 28 sheets 100 lb (260 gsm), acid-free paper. 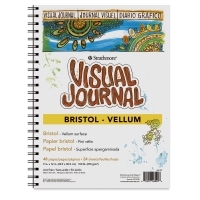 Bristol (Vellum) — The vellum finish on this paper is great for any dry media, including pencil, charcoal, and pastel. It also works well with pen and ink, marker, and collage techniques. Each journal contains 24 sheets of 100 lb (260 gsm), acid-free paper. Watercolor, 90 lb — This medium-weight paper is great for watercolor, acrylic, and collage. It also works well with pen and ink, pencil, and marker. Each journal contains 34 sheets of 90 lb (190 gsm), acid-free paper. Mixed Media — This medium-weight paper is great for wet and dry media, including watercolor, acrylic, pen and ink, pencil, crayon, charcoal, marker, and collage. Each journal contains 34 sheets of 90 lb (190 gsm), acid-free, 100% cotton paper. Drawing — This heavyweight drawing paper is excellent for pencil, colored pencil, and charcoal. 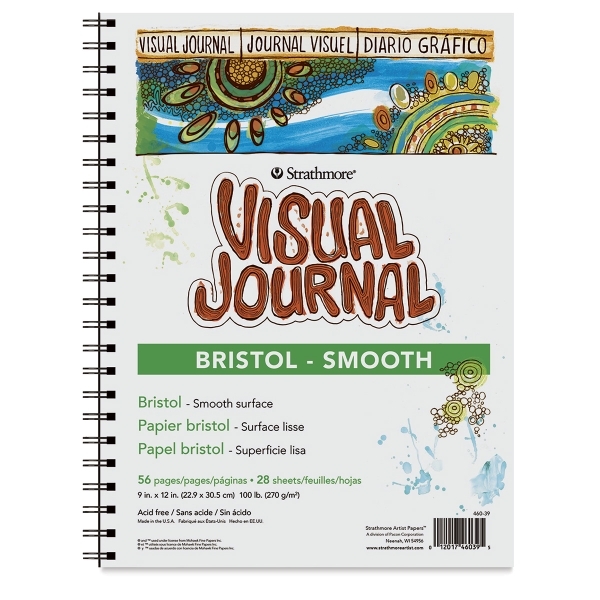 It can also be used with pastels, markers, pen and ink, and for light mixed media and collage techniques. Each journal contains 42 sheets of 100 lb (163 gsm), acid-free drawing paper. Watercolor, 140 lb — This heavyweight, 140 lb (300 gsm), acid-free paper is excellent for watercolor and collage, as well as acrylic, pen and ink, pencil, and marker. 22 sheets.